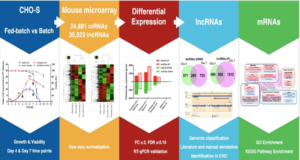 Long non-coding RNA metastasis associated in lung adenocarcinoma transcript 1 derived miniRNA as a novel plasma-based biomarker for diagnosing prostate cancer. 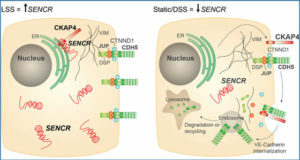 Examining plasma RNA is an emerging non-invasive diagnosis technique. 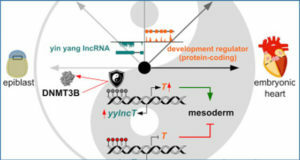 However, whether tumour-derived long non-coding RNAs (lncRNAs) in plasma can be used as a novel approach to detect human prostate cancer (PCa) has not yet been established. (3) the diagnostic performance of metastasis associated in lung adenocarcinoma transcript 1 (MALAT-1) derived (MD) miniRNA was validated in an independent cohort of 192 patients. 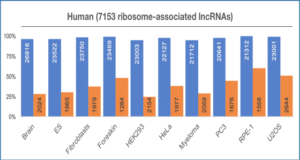 The expression levels of lncRNAs were measured by quantitative real time polymerase chain reaction (qRT-PCR). The MD-miniRNA copies were calculated using a standard curve in an area under the ROC curve (AUC)-receiver operating characteristic (ROC) analysis. 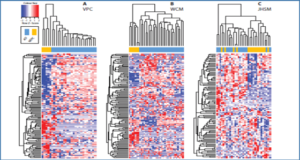 Genome-wide profiling revealed that MALAT-1 and prostate cancer gene 3 (PCA3) are overexpressed in PCa tissues. 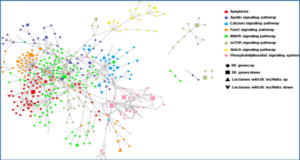 Plasma lncRNAs probably exist in the form of fragments in a stable form. MD-miniRNA enters cell culture medium at measurable levels, and MD-miniRNA derived from human PCa xenografts actually enters the circulation in vivo and can be measured to distinguish xenografted mice from controls. In addition, plasma MD-miniRNA levels are significantly elevated in PCa patients compared to non-PCa patients (p<0.001). At a cut-off of 867.8 MD-miniRNA copies per microlitre of plasma, the sensitivity is 58.6%, 58.6% and 43.5% and the specificity is 84.8%, 84.8% and 81.6% for discriminating PCa from non-PCa, positive biopsy from negative biopsy and positive biopsy from negative biopsy, respectively. The researchers conclude that MD-miniRNA can be used as a novel plasma-based biomarker for PCa detection and can improve diagnostic accuracy by predicting prostate biopsy outcomes. Further large-scale studies are needed to confirm these findings.